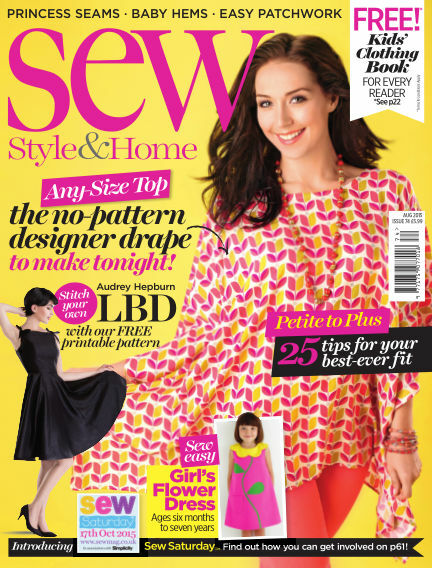 In this issue of Sew : Sew magazine is the perfect read for anyone who is crazy about sewing. Sew magazine will provide you with fashionable projects for your wardrobe and your home exclusively created by some of the UKs leading stitching designers. Sew magazine will provide you with fashionable projects for your wardrobe and your home exclusively created by some of the UK’s leading stitching designers. Each project is presented in an informative, friendly and easy-to-follow style. Sew magazine comes with stunning and lavish pictures of new trends and designs, enabling you to gain more knowledge on your favorite hobby. Advice from an expert team of writers makes Sew magazine an indispensable guide. With Readly you can read Sew (issue August 2015) and thousands of other magazines on your tablet and smartphone. Get access to all with just one subscription. New releases and back issues – all included.